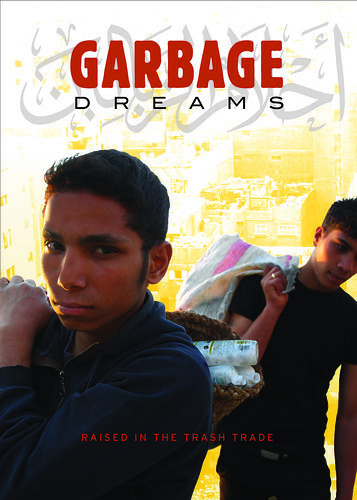 I previously spoke about Garbage Dreams, a documentary about the Zaballeen community in the Egypt slums and am happy to report that the film has since received several awards and is now one of the 15 films shortlisted for the upcoming 2010 Academy Awards. It's so nice to hear the film doing so well. There will be another screening in New York right around Coptic Christmas (January 7th). If you missed the showing last time, do yourself a favor and make sure you check out the film this time around. You will not be disappointed. The film will be screened at the IFC Theater (323 Sixth Avenue at West 3rd St) from Janunary 6th-12th. If you plan on going, try to make one of the first two nights as the director, Mai Iskander, will be available for a Q&A after the film and t-shirts and Zaballeen arts and crafts will be available for purchase. A portion of the proceeds go directly to supporting the Zaballeen community.